Just ahead of its March 25 event, Apple has launched two new iPads: New iPad Air and New iPad Mini. Yes, the naming scheme is weird but a case of classic Apple nomenclature. For the sake of simplicity, we’ll call the larger new tablet the Apple iPad Air (2019) and the smaller new tablet the Apple iPad Mini (2019). 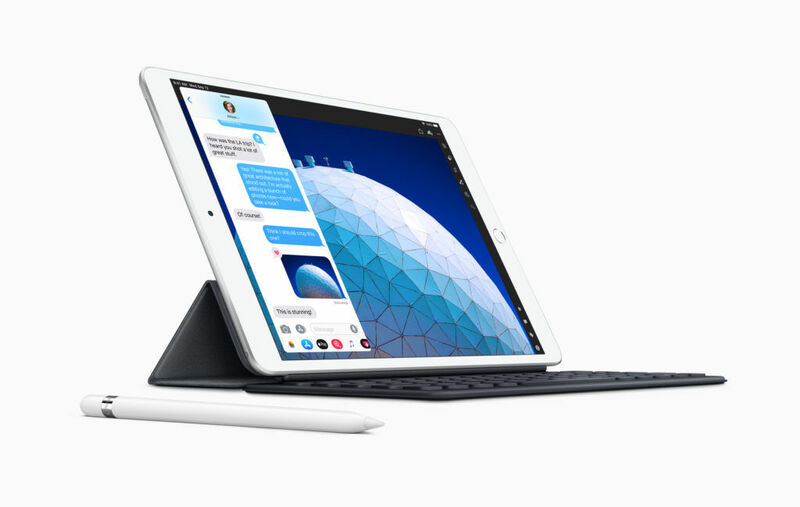 The iPad Air (2019) features a 10.5-inch screen, and it succeeds the iPad Air 2 from 2014. The iPad Mini (2019) has a 7.9-inch screen and it is a successor to the iPad Mini 4 from the year 2015. 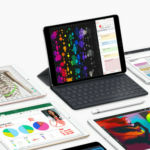 Both new iPads come with Apple’s latest-generation processing chipsets, Apple Pencil (1st Generation) compatibility, Wi-Fi or Wi-Fi+LTE connectivity, Touch ID fingerprint readers, and 3.5mm headphone jacks. Apple has also launched Polyurethane Smart Covers for the New iPad Air and the new iPad Mini in addition to Leather Smart Covers for the New iPad Air. The iPad Air (2019) and the iPad Mini (2019) are available for purchase in India in 64GB as well as 256GB storage variants. 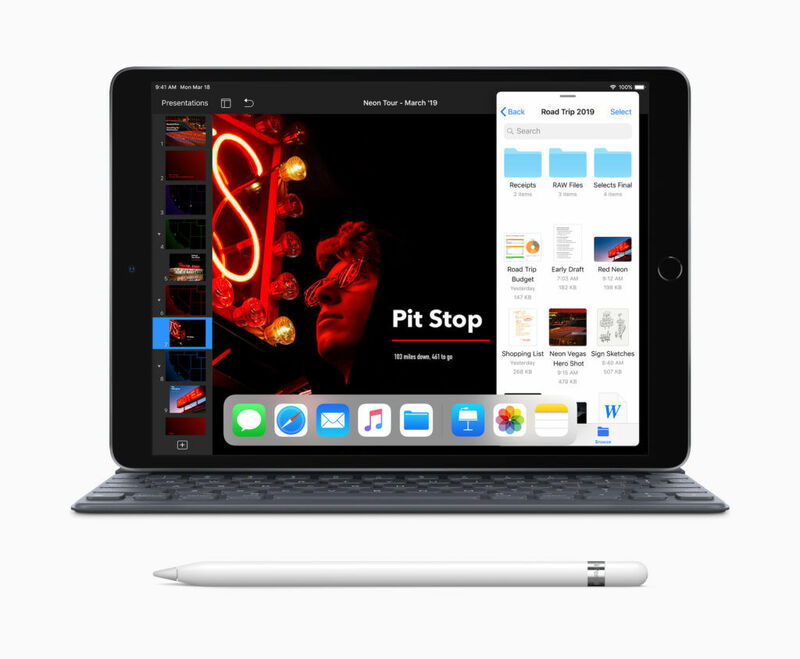 Apple has set the starting price of the iPad Air (2019) at INR 44,900 for the Wi-Fi only variant and INR 55,900 for the Wi-Fi + Cellular variant. The iPad Mini (2019) has a starting price of INR 34,900 and INR 45,900 for the Wi-Fi only and Wi-Fi + Cellular variants, respectively. Both tablets are available for purchase in Gold, Silver, Space Grey colors through Apple Authorised Resellers and select carriers in the country. The Polyurethane Smart Cover for the New iPad Air and the New iPad Mini are available in three colors in India—Charcoal Grey, White, Pink Sand, and New Papaya—for INR 3,700 and INR 3,500, respectively. The Leather Smart Cover for the New iPad Air is available in four colors: Black, Saddle Brown, Midnight Blue, and Red. Pricing for the leather cover hasn’t been officially announced yet. The Smart Keyboard can be purchased to be used with the New iPad Air for INR 13,500. The Apple Pencil (1st Generation) can be purchased separately for INR 8,500. 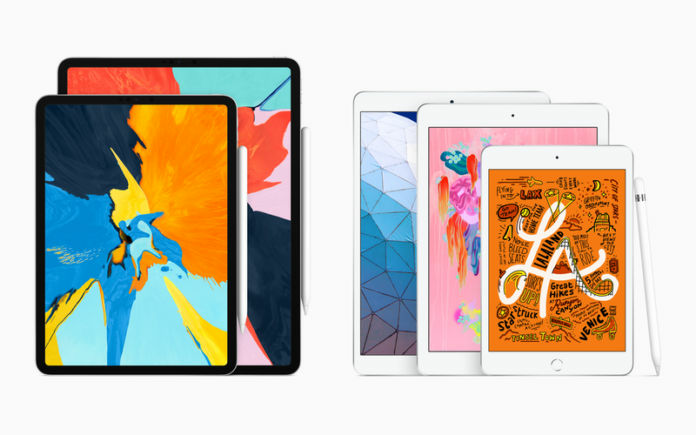 The Apple iPad Air (2019) features the same design as that of its predecessor. 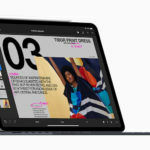 However, it now comes with a larger, 10.5-inch Retina Display (IPS LCD) with 2224×1668 pixels resolution, DCI-P3 color gamut coverage, and Apple’s True-tone display white balance calibration feature. The screen is covered with a scratch-resistant glass which has an oleophobic coating. 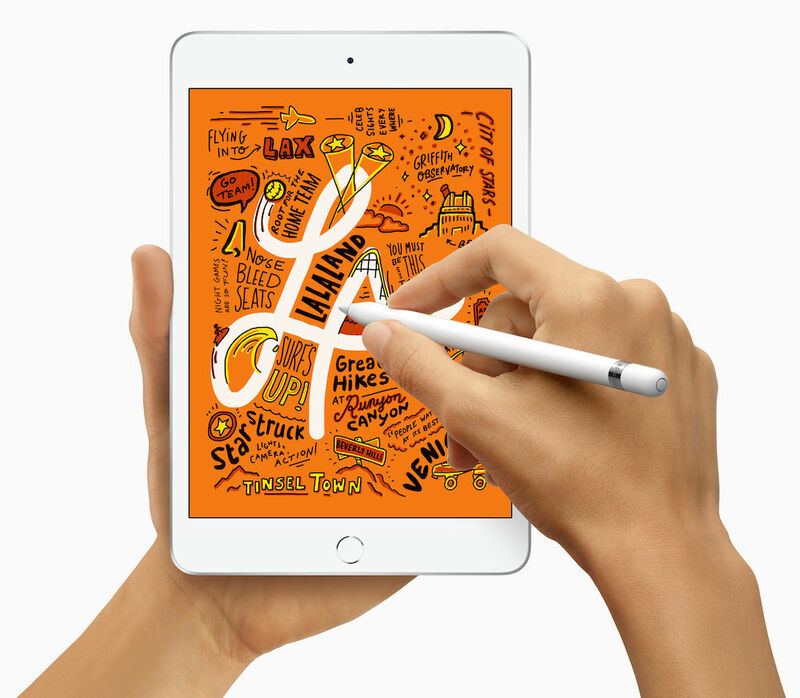 The tablet is compatible with first-generation Apple Pencil for drawing and jotting. It also features a Touch ID fingerprint reader, stereo speakers, and a 3.5mm headphone jack. 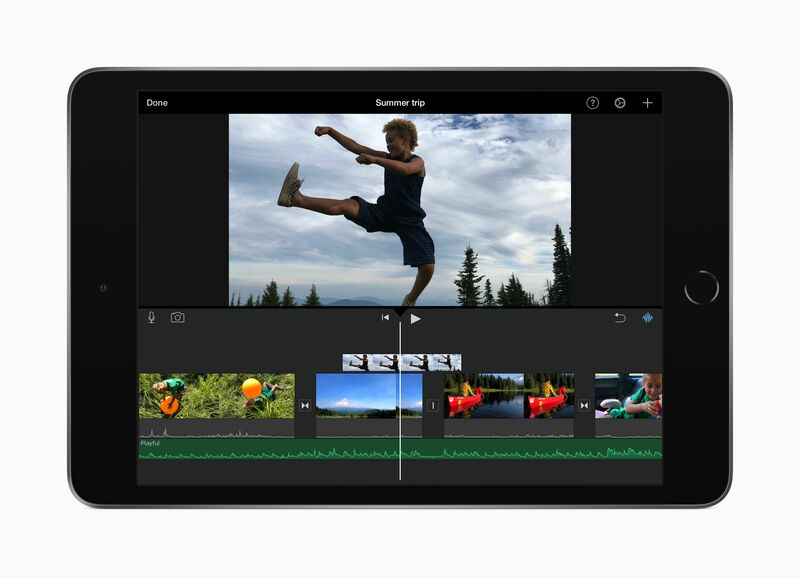 The tablet runs iOS 12.1.3 out of the box and uses the Apple A12 Bionic chipset (with a hexa-core CPU and a quad-core Apple GPU). It has 2GB RAM and either 64GB or 256GB of internal storage. There’s an eSIM inside the Wi-Fi + Cellular variant of the new iPad, along with the usual nano SIM card slot. It is compatible with 4G LTE networks (only Wi-Fi + Cellular variants). 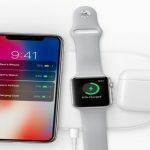 Other connectivity features include GPS, A-GPS, Wi-Fi b/g/n/ac, AirPlay 2, Bluetooth 5.0, and Lightning Port. 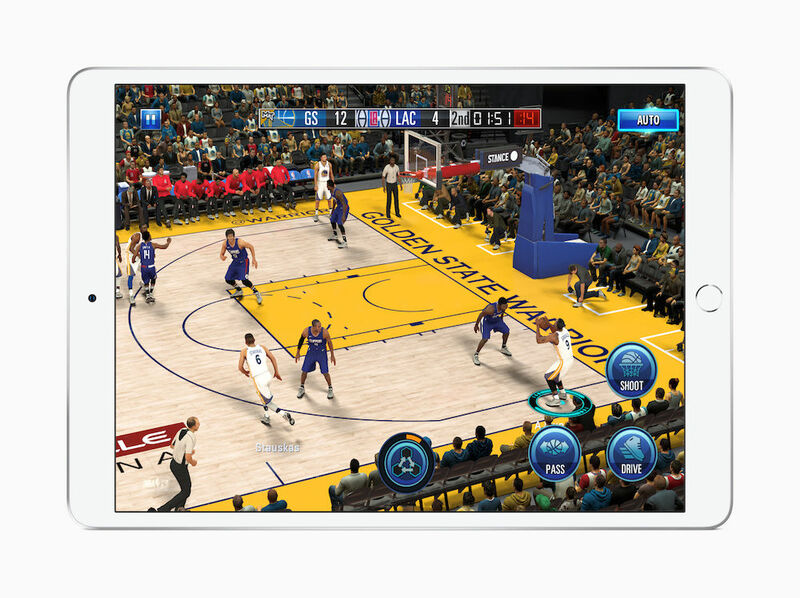 The New iPad Air is powered by a 30.2Wh battery for up to 10 hours of continuous multimedia playback. In terms of imaging, the New iPad Air features an 8MP camera at the rear, featuring f/2.4 aperture, autofocus mechanism, HDR, and 1080p video recording. At the front, the iPad has received a huge upgrade in the form of a 7MP selfie camera with f/2.2 aperture, HDR, and 1080p video recording. 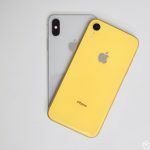 The Apple iPad Mini (2019) has a design that’s similar to the iPad Air (2019), but it comes with a smaller, 7.9-inch Retina Display (IPS LCD) with 2048×1536 pixels, DCI-P3 color gamut, True-tone display temperature calibration, scratch-resistant glass, and oleophobic coating. Its bezels are slightly larger. The new iPad Mini is also compatible with the first-gen Apple Pencil. It runs iOS 12 and features the Apple A12 Bionic processor, 2GB RAM, and 64GB/256GB storage space. There’s a Touch ID fingerprint reader at the front, stereo speakers, 3.5mm headphone jack, and a Lightning Port. The iPad Mini (2019) has an 8MP (f/2.4, autofocus) rear-facing camera and a 7MP (f/2.2) front-facing camera. 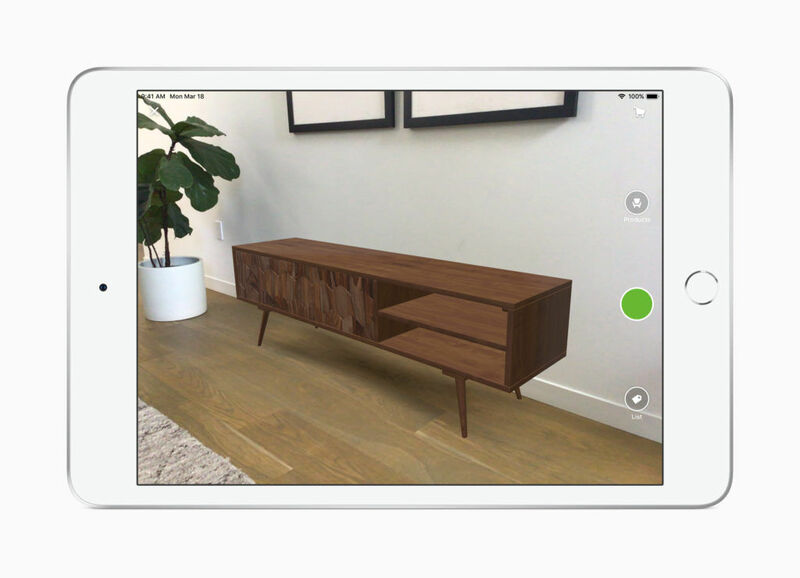 Both cameras can record Full HD 1080p videos. The new iPad Mini is powered by a 19.1Wh battery and the company claims that it can last up to 10 hours on a single charge when used for continuous multimedia playback. Connectivity features include nano SIM card slot and eSIM (in Wi-Fi + Cellular variants only), Wi-Fi b/g/n/ac, AirPlay 2, and Bluetooth 5.0. 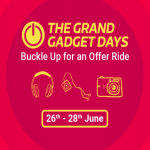 Rs 34,900 for iPad Mini? Is this the final price or can it be changed by Apple?